Drifting in a cloud of pure euphoria, you completely let go. In a dream state that is between two worlds, you finally feel at ease. 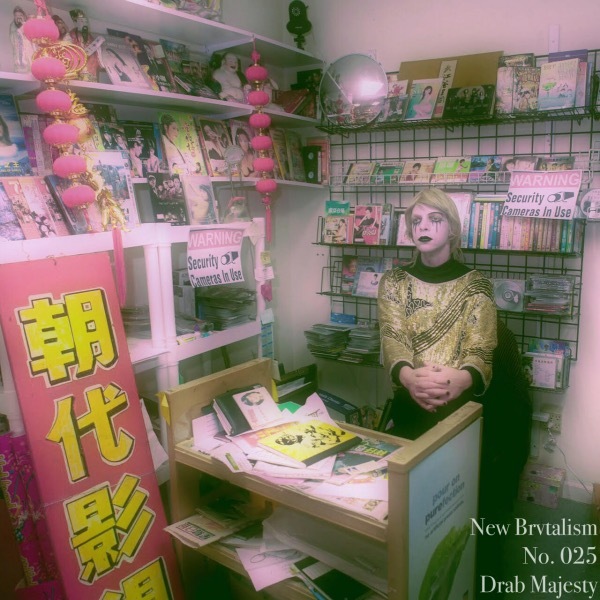 The Brvtalist is proud to present a new mix by Los Angeles-based Drab Majesty. Perhaps our favorite live and recorded act of the moment, we wanted to make the Silver Edition of our series something special. His full-length album, "Careless", is currently out on Dais Records (first pressing sold out!) and will soon be taking off on a full length tour with Seattle's King Dude. The Brvtalist was lucky enough to attend his record release show in Los Angeles and we were quickly transported to a another world - entranced by Drab's mix of dream pop, synth, wave and incredible performance art. Below, please find the dates for his current tour and we urge you not to miss a show. For more information, please visit Facebook and Soundcloud.